Tourism. Travelling, experiencing, immersing, enjoying, looking in from the outside. A holiday, basically. So are we tourists in our own areas? I’ve certainly felt like one for the last seven months since buying my home in Colmenar! I’ve been making the most of this wonderful land I live in and exploring Andalucía from east to west. The great cities of Málaga, Granada and Jerez have all been explored, along with beautiful mountainsides and stunning coastal areas (and of course the chiringuitos that dot the beaches!). 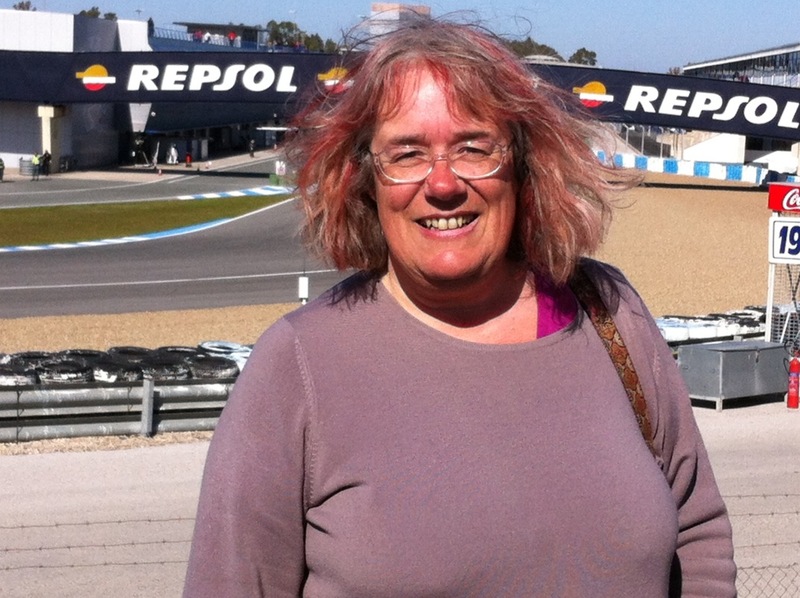 Fiestas, Arab baths, cathedral concerts, carnival, and the Formula 1 testing at the Circuito de Jerez. Everything a good tourist should experience! I have, and I pronounce them unmissable, one and all. For another couple of months I am going backwards and forward between Colmenar and Dorset to fulfil work commitments. I’m taking too many flights and increasing my carbon footprint. I suppose that because my work diary has limited each amount of time spent in Spain, it has meant that each period of time here has felt like a holiday – in between “real” life which takes place when I’m working. It’s not as if I’ve JUST been having fun and enjoying myself. There’s been lots of little things to do on the house, and today I’ve been waiting for the carpenter to come back to finish planing some doors. But I’m sure that this desire to visit lots of places and do all the touristy things is partly because while there is still work to return to in the UK, it feels as though I’m staying in a holiday home rather than a home. And however often I explain to my neighbours about having to work in the UK, there is still a general air of confusion about my living arrangements. “Are you here?” is always the first question on my return, repeated by several different households. I think that as long as the answer can only be “Yes, but I must go back in X weeks”, they will see me as a tourist. And so will I. This entry was posted in Spain and tagged Andalucia, Circuito de Jererz, Colmenar, Granada, Jerez, Málaga, Spain, SpanishBlog, Tamara Essex by tamaraessex. Bookmark the permalink. I’ve lived in London x 😉 years but I still feel like a tourist in my own town. Was up in British Museum/Covent Garden last weekend and think the only English voices we heard were our own? In February! There no longer is a ‘tourist’ season. We moved over here from the UK lock stock & barrel, but for ages I still felt we were on holiday especially when we down on the coast, because the sea was always part of holidays in the past.I cant remember when it stopped feeling like a holiday home, but either way I LOVE it !! Another man in Tamara?? You must be getting quite a reputation by now. I’ve lived in Spain for over eight years and still traipse about like a tourist at times! I guess it’s all a matter of balance. Does being a “local” mean you don’t go anywhere? I certainly know of both Spanish (and English) neighbours who rarely go anywhere at all – whilst others, like us, are always off on a jolly jaunt somewhere or other.